Next week marks the “official” beginning of the new legislative session in North Dakota. Although the Legislative Assembly starts on Thursday, Jan. 3, 2019, there is a “pre-session” meeting of members Monday through Wednesday of next week, culminating on Wednesday morning when Gov. Doug Burgum presents his Executive Budget for the 2019-21 biennium. We all are awaiting his budgetary recommendations to the Legislature. The School will be participating in a variety of activities in Bismarck during those three days, starting on Monday morning with a meeting of the UND SMHS Advisory Council. 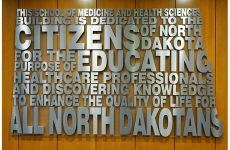 The three items that we have on the agenda are as follows: final review of the Fifth Biennial Report on Health Issues for the State of North Dakota 2019; discussion of the proposed budget for the School for the 2019-21 biennium; and discussion of the plans for initiating our Quarter Each Quarter visits to various communities across the state in 2019. A PDF of the Biennial Report is available at: http://med.UND.edu/publications. And SMHS administrators are really looking forward to our Quarter Each Quarter visits—we plan to visit each quarter of the state (northeast, northwest, southeast, southwest) once every three months (a quarter of the year). We plan to both listen and talk. That is to say, we intend to hear directly from citizens about the impact the School and its programs have on their everyday lives, and also to discuss our many programs and make sure that people are aware of the services and educational opportunities we provide. Later on Monday, I and colleagues from both the School and UND will be attending the UND Legislative Reception. It will be a great opportunity to visit with returning members of the Legislature, and especially to meet new members. They always have questions about our programs, and it is a great opportunity to highlight the many ways that our faculty, staff, and students positively impact the quality of life in the state. 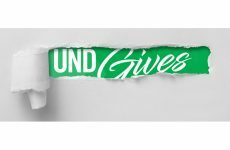 Northeast (Grand Forks) campus: Thursday, Dec. 6, 2018, at the Gorecki Alumni Center from 6 p.m. until 8 p.m.
Southeast (Fargo) campus: Tuesday, Dec. 11, 2018, at Avalon West from 6 p.m. until 8 p.m.
Northwest (Minot) campus: Thursday, Dec. 13, 2018, at the Grand Hotel from 6 p.m. until 8 p.m.
At each of these parties we’ll be recognizing the clinical faculty members from the respective campuses who have made important contributions to our clinical educational programs. A list of these faculty to be recognized is available here. If you are able to attend any of these parties and have not yet RSVP’d, please contact Kristen Peterson at kristen.peterson@UND.edu, 701.777.4305. On Wednesday, Gov. Burgum gives his much-awaited address to the combined North Dakota House and Senate at 10 a.m. during which he will reveal his proposed Executive Budget that obviously will have relevance to all state agencies, including the UND SMHS. We’ll finish up our activities in Bismarck Wednesday afternoon with the second run of our MD in a Day program. Designed primarily for state legislators, the program is a very accelerated smorgasbord of what a medical student experiences in four years of medical school—but we do it all in an afternoon! The first time we held a similar event several months ago in Grand Forks it was a great success, so we are looking forward to this second offering. I was very pleased to learn that Holly Brown-Borg, Chester Fritz Distinguished Professor of Biomedical Sciences at the UND SMHS, has been named a Fellow of the American Association for the Advancement of Science (AAAS) for distinguished contributions to the biology of aging. As the announcement from the AAAS noted, “Dr. Brown-Borg is an expert on aging, endocrinology, metabolism, and oxidative stress. She has dedicated her career to determining how the pathways and mechanisms that hormones utilize may suggest potential therapeutic interventions that could lead to strategies to delay aging, treat aging-related disorders, and extend life span in humans.” So, well done, Holly, and congratulations on this great honor! 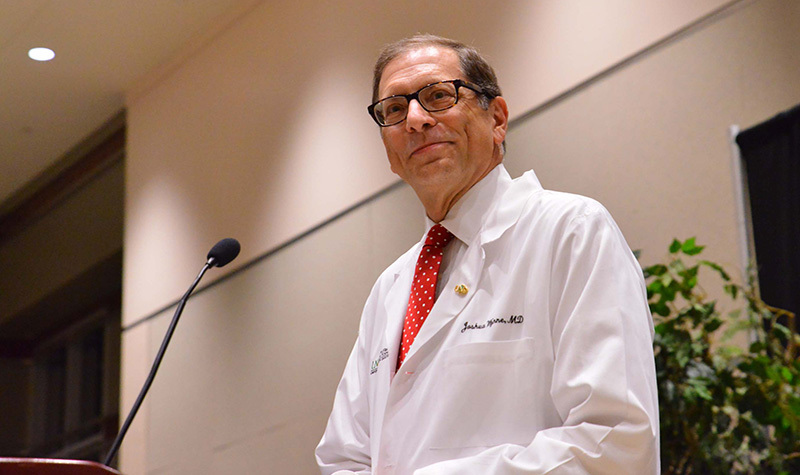 Kudos also are due to David Schmitz, professor and chair of the Department of Family and Community Medicine, for his appointment to the editorial board of the Journal of Rural Health, the definitive publication of manuscripts relevant to rural health care. Congratulations as well to Dave! Finally, you may have read news accounts (or the release itself) from the Centers for Disease Control and Prevention that for the third year in a row life expectancy in the U.S. declined. One of the important causes for this is the continued dramatic increase in substance-abuse deaths and suicides. Also contributing are deaths from chronic diseases like heart disease and cancer. That’s why the research we do at the School is so important as we try to speed the translation of laboratory discoveries to the bedside. More about this in subsequent columns, but one of our major research initiatives centers on speeding the “bench-to-bedside” process, and thus improving the health and health care of North Dakotans. It’s one of the major ways that we can return the trajectory of life expectancy to an upward (rather than downward) path.